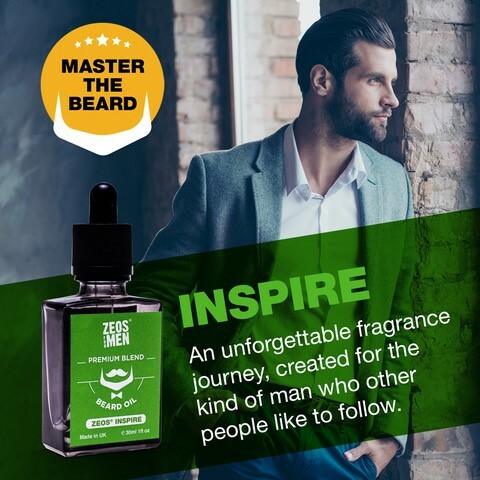 Discover the art of the beard. 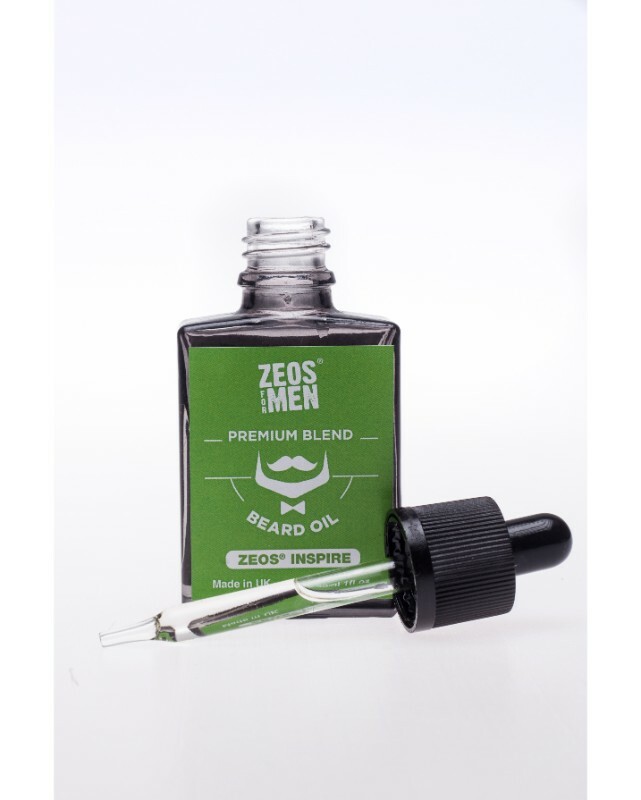 We have taken the mystery out of mastering your beard with our blend of premium oils sourced from around the world to promote incredibly touchable growth that’s easy to manage and sleek, beautifully conditioned skin. 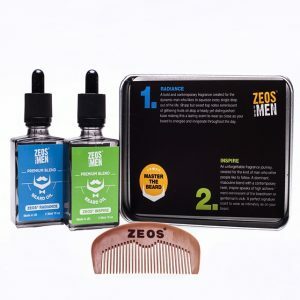 Beards can be tough on your face but ZEOS oils help banish irritation and flakiness and nourish the hair to both look and feel smoother. 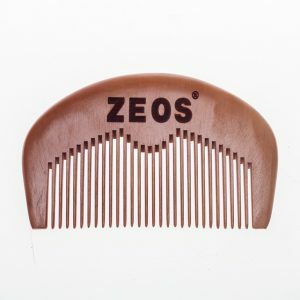 Beard hair needs special attention to keep it strong but soft and inviting. Facial hair can also pull moisture away from the skin which can leave you prone to dryness and itching. 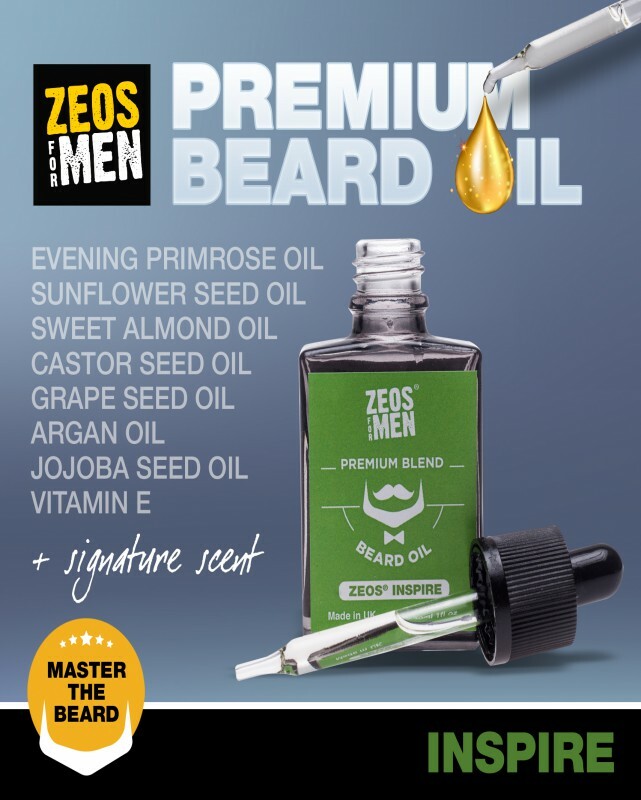 To help you enjoy a long and beautiful relationship with your beard, we have brought together a blend of oils (Evening Primrose Oil, Sweet Almond Oil, Castor Oil, Jojoba Oil, Grapeseed and Vitamin E Oil) naturally loaded with antioxidants, vitamin E, Vitamin A, Omega-6 fatty acids and linoleic acid to condition the hair and boost the skin’s elasticity and soothe any irritation. 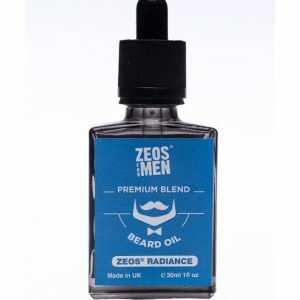 Additionally, few things come anywhere even close to Argan Oil for general beard health and our blend is supercharged with this workhorse of conditioners to banish wiriness and help you maintain a sleek, tidy look with minimal effort. ZEOS beard oil is remarkably effective and used correctly really puts your follicles through their paces, leaving only a subtle scent and glowing skin with no annoying greasy residue. You don’t need much, a couple of drops if it’s not grown on too much from stubble or four or five for a longer, fuller beard. If you’ve just showered, your pores will be open to the nourishing qualities of the oil but let your beard dry before applying to get the full benefits. 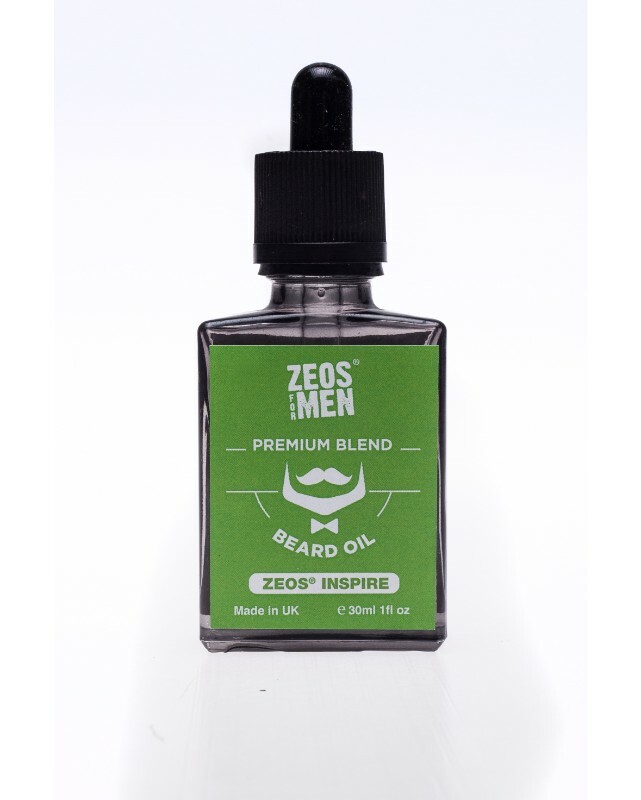 How to Use: Splash 3 to 5 drops into palm and massage gently into beard and skin. INGREDIENTS Prunus Amygdalus Dulcis (Sweet Almond) Oil, Ricinus Communis (Castor) Seed Oil, Helianthus Annuus (Sunflower) Seed Oil, Vitis Vinifera (Grape) Seed Oil, Oenothera Biennis (Evening Primrose) Oil, Fragrance (Parfum), Argania Spinosa (Argan) Oil, Simmondsia Chinensis (Jojoba) Seed Oil, Tocopherol Acetate, Benzyl Salicylate, Citral, Citronellol, Coumarin, Butphenyl Methylpropional, Limonene, Linalool.